Home » Pop Culture » Wizard World to Hold 35th-Anniversary Ghostbusters Fan Fest, But How Can We Celebrate Without Ecto-Cooler? It’s immensely gratifying to see the way the fans have embraced our movie over the past 34 years, in a way we could never have imagined in 1984. The credit goes to the fans – collected in over 1,000 fan groups globally – who have kept the flame burning for decades. I’m excited to see you all at Ghostbusters Fan Fest one year from today! Ghostbusters has not only endured, but has taken on a life of its own and become its own world – from references in ‘Stranger Things’ to the TMNT/Ghostbusters comic-book mashup to fantastic memorabilia, Ghostbusters continues to penetrate pop culture. That’s what these next two years are all about – a celebration of Ghostbusters and the fandom. It’s an incredible lineup of events. And that’s not all that’s planned for Ghostbusters Day. The Ghostbusters website has relaunched today with an all-new design and content from the Ghostbusters franchise. And we’re not even halfway through yet. But you know what the press release failed to mention? Ecto-Cooler, the delicious, green-hued, tangerine-flavored nectar that captures the spirit of the Ghostbusters in a juice box. 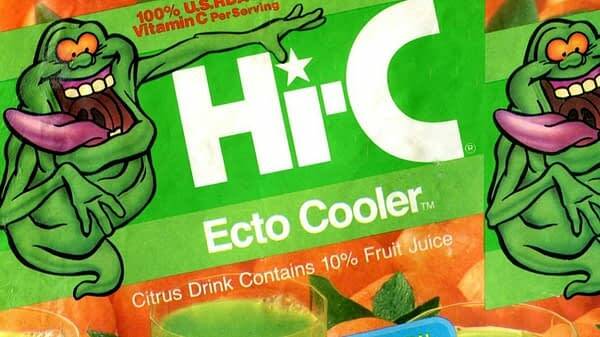 Launched in 1989, Ecto-Cooler was not only Hi-C’s most tasty flavor, but one of its most successful as well. The juice drink endured long after the Ghostbusters movies and cartoon, suffering a few rebrandings (like Shoutin’ Orange Tangerine and Crazy Citrus Cooler) before being discontinued in 2007. But in 2016, nearly a decade later, something magical happened. With a Ghostbusters reboot on the horizon, Hi-C announced the return of the beloved Ecto-Cooler as a movie tie-in, for a limited time only. Of course, we immediately sought out the drink upon its release, harassing the grocery store chain Giant Eagle on Twitter until they hooked us up. And yes, we did buy 40 cases of the juice boxes and several more cases of the cans — who would do any less? 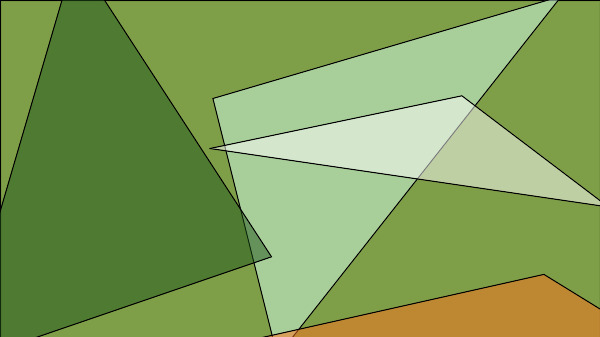 — but when the Ecto-Cooler revival ended at the end of that year, the glorious juice boxes were once again gone (except for the ones we keep in our closet and still drink more than a year past their expiration date). Hopefully, another Ghostbusters reboot will one day bring with it more Ecto-Cooler, but at least according to this press release, there are no plans at current, which means we’ll be celebrating Ghostbusters 35th anniversary without the most important part of the franchise: its tie-in juice drink. Well, you will be. We’ve still got a pretty good stockpile. Don’t Starve Together is Getting a New Event in "The Gorge"